Two-wheelers, in which Bajaj's scooters ruled the roost, was a veritable family ride. 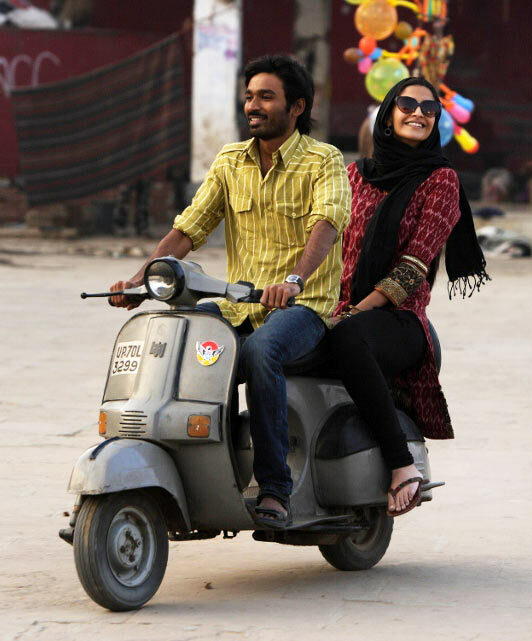 Image: A still from the film Raanjhanaa. Can a jingle be copyrighted? When it comes to one of India's most memorable ones, it seems it can hold its own in court. In 2013, Bajaj Auto managed to stay the use of its most iconic tagline, 'Hamara Bajaj', first used as a TVC jingle in 1989, as a film title by a Hindi movie production company. 'Hamara Bajaj' might have gone off air now, but it has become more than a jingle today. It marks the cusp that Indian brands were on right before the gates were opened to foreign entrants, and is a reminder of how challenging it can be for brands to pre-empt changes in consumer behaviour. 'Hamara Bajaj', which was the final flourish that followed the line 'Buland Bharat ki buland tasveer' (A strong India's strong picture...is our Bajaj), ushered in a brand of advertising that was not tried before. 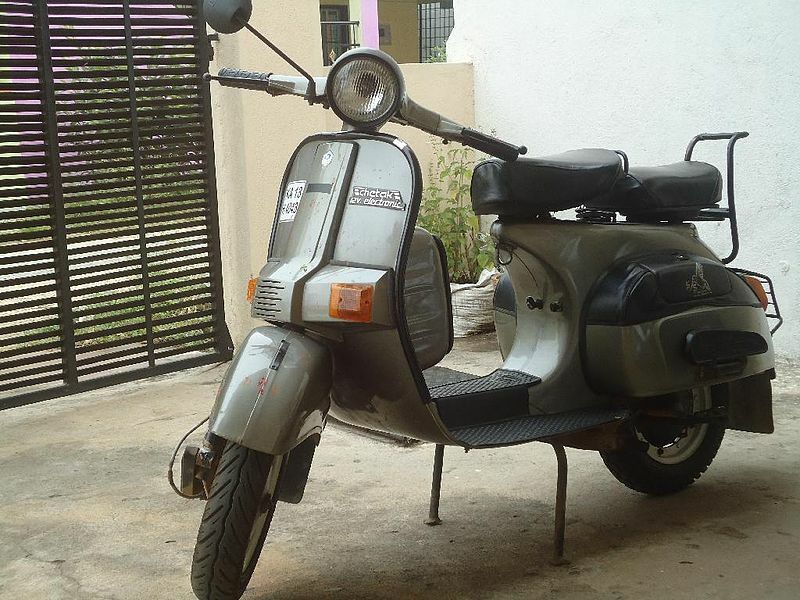 Stringing together a montage of the legendary Chetak scooters in use everyday, the TVC evoked the pride in ownership. Image: Bajaj Chetak . Photograph: Courtesy, Shakti Muralidharan/Wikimedia Commons. During the licence raj, like most manufactured products, Bajaj scooters, too, had a waiting period before the customer could ride one home. For the middle-class, a four-wheeler, even if it was the Ambassador or the Padmini, was decidedly unaffordable. But by the eighties, there was a need to contemporise the brand, say people who worked on the brand in Lintas (now Lintas-Lowe & Partners), the creative agency. Ishan Raina, who headed the Bajaj account, and is now CEO of out-of-home advertising channel, OOH Media, says, "It was time Bajaj moved from its 'value for money' tagline that it had used for years. Rahul Bajaj (then the MD) and team Lintas wanted to recreate the magic General Motors' 'Heartbeat of America' had done for Chevrolet in the late-1980s." Alyque Padamsee, an advertising doyen who led the creative charge, says, "The Chetak was old (launched in 1972) and needed to appeal to youngsters. So, we said that old is gold." It is telling that the bid to contemporise Bajaj's flagship scooter, based on the Italian Vespa Sprint, was made by highlighting how integral it was in people's lives - be it dropping one's kid to school or bringing home the groceries. It is a far-cry from the individualism that brands talking to youth today need to promise. Anand Halve, the co-founder of Chlorophyll brand consultancy, says, "It was not before the nineties that showing off individual success was acceptable. But the scooter was a symbol of arrival in a country that still had a socialist hangover, since it was not ostentatious. Most of the brands had little to feel good about, they did their job but were not coveted, except for products like the Chetak." 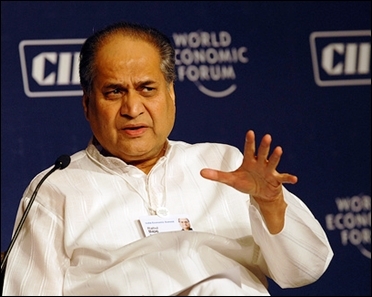 Rahul Bajaj, who had a large say in the crafting of the tagline, articulated a way for consumers to feel good about Indian-made products. Lowe Lintas & Partners Chairman and Chief Creative Officer R Balakrishnan (Balki), who created the second instalment of the campaign later, says, "It (first campaign) said that it was okay to not feel ashamed of not matching up to products from abroad, which had been the case earlier." By then, Suresh Mullick, the firebrand national creative director of Ogilvy and Mather, had created the indelible national integration campaigns based on a brief from the then Prime Minister Rajiv Gandhi's office. While the 'Torch of Freedom' was shot with Indian athletes, 'Mile sur mera tumhara', in 1988, featured stalwarts from performing arts. 'Hamara Bajaj', which harked back to a similar feeling, betrayed the dilemma Indian brands were in during the eighties. "In the mid-eighties, Gandhi had initiated talks on opening up the economy to foreign competition. In his Reeboks and Raybans, he at least seemed as someone belonging to the 21st century and who could pull it off. But there was this thought that Indian brands were not prepared for the influx of supposedly more competent rivals. Hence, it could be that Bajaj Auto decided to fight on emotions rather than technology by launching the campaign," says Halve. Observers who now join the dots, say the Bajaj MD, being a strong proponent of what the lobby, later referred to as the Bombay Club, argued for - more time for Indian companies before being exposed to foreign companies - had to act. 'Hamara Bajaj', the tagline, was brought back in 2000 for strategic reasons. Balki says even though Rahul's son and current MD, Rajiv Bajaj, was unsure about reviving it, the prospect of underlining Bajaj's journey into a global future, while holding on to Indianness won him over. Under the younger Bajaj, the company cemented its motorcycle credentials to rival Hero Honda, with the Pulsar, in 2001. 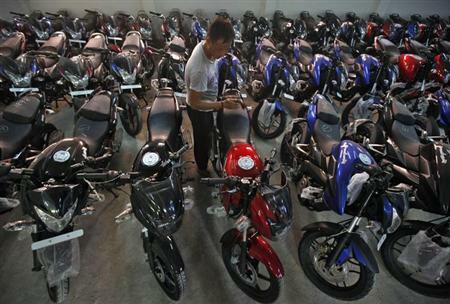 Its earlier tie-up with Kawasaki, the Japanese sports-bike major, yielded tepid results (Challenger, Wind, Boxer etc.) since the foreign partner was more at home with 700-cc super-bikes than the commuter bikes that took hold of after liberalisation. But time had run out for 'Hamara Bajaj'. Hero Honda and TVS Suzuki made the two-wheeler market motorcycle-led. Against vehicles returning 80 kmph, Bajaj scooters returning 40 kmph stood no chance. It was not long before Rajiv took the call to stop scooter production in 2009. Scooters such as those from Kinetic Motors had become gearless by then and were no more family rides, but peppier individual modes of transport. 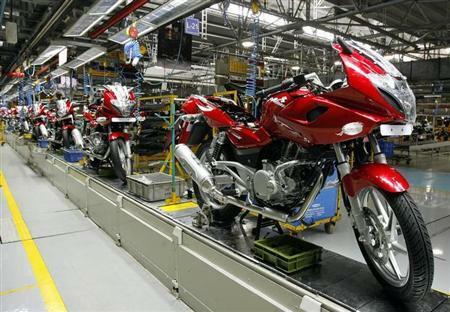 But of late, Bajaj's motorcycles, leaders in the premium segment, have seen competition from others trying to upsell. Could 'Hamara Bajaj' come in handy with a little tweaking?